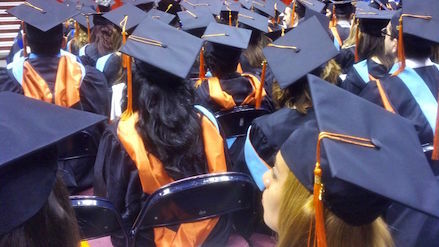 For high school graduates to be prepared for success in a wide range of postsecondary settings, they need to take at least three years of challenging mathematics — covering the content generally found in an Algebra II or an integrated third-year math course — and four years of rigorous English aligned with college- and career-ready standards. While readiness depends on more than knowledge and skills in English and math, these core disciplines undergird other academic and technical courses and are considered essential by employers and colleges alike. For students to truly graduate ready for college and careers, however, they need to complete a rigorous, robust and well-rounded curriculum that exposes them to a wide range of academic and technical knowledge and skills to ensure all doors are left open for them when they leave high school. Establishing mandatory requirements or simply requiring all students to complete the college- and career-ready curriculum in order to earn a high school diploma. Automatically enrolling all students into a “default” college- and career-ready curriculum, which students can opt out of if their parents sign a waiver. Regardless of the approach states take, they should carefully monitor which students in which schools earn which diploma to ensure that all students have access to a rigorous curriculum.